The small car power supply CAR-314 by GOOBAY has two USB ports, which can charge up to two devices simultaneously, each with current of 1.55A. A great advantage is the ability to charge two devices with 1A and 2.1A current, which allows to power and/or charge at the same time, for example, a navigation device and a tablet. Furthermore, when using a single slot, it is possible to charge one device with current even up to 3.1A, which allows to charge any tablet available on the market and provides quicker charging of the battery. In addition, the device has a fuse in an integrated circuit, which protects the power supply from exceeding the maximum current and working temperature. Furthermore, both the power supply and the charged devices are protected of potential power surge. 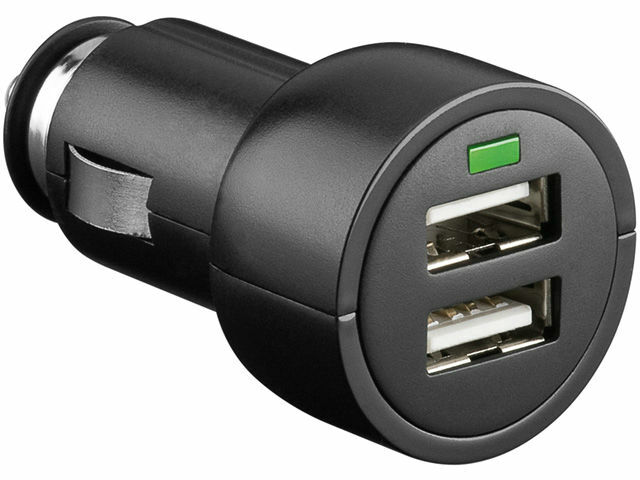 The feature improving the functional quality and versatility of the charger is the possibility of using it in both cars with 12V installation and trucks with 24V installation.